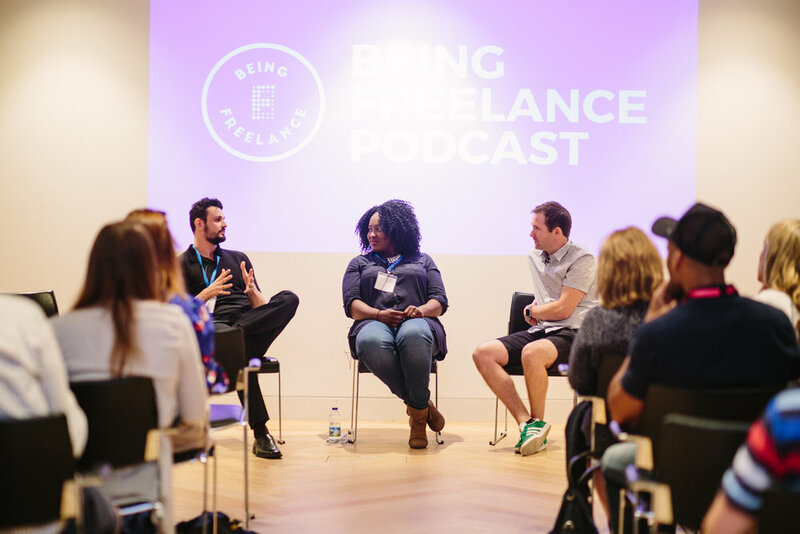 As part of National Freelancer's Day Steve Folland's hosting Being Freelance podcast LIVE at the flagship IPSE event. Be in the audience and get your questions asked! On the same day Steve's also giving a talk on how freelancers can start a podcast to improve their business. If you don't catch him at either, you'll doubtless find him near the buffet. For the first time, Steve Folland is hosting outside of London. He’s getting on a train and heading to Manchester. Will you?! Be part of the audience. You can get more details and FREE tickets here. As part of National Freelancer's Day Steve's doing the Being Freelance podcast LIVE at the flagship IPSE event. Be in the audience and get your questions asked! On the same day Steve's also giving a talk on how freelancers can use video to improve their business. I love the Doing It For The Kids blog, Instagram and Facebook group. It's FREE but open to members of the DIFTK community, so if you're a self-employed parent get yourself part of that (also free) Facebook group and I'll see you there! I'll be giving tips about surviving being freelance, as told through the quotes of my guests on the Being Freelance podcast. Freelance Heroes is a brilliant Facebook Community. Host of Being Freelance, Steve Folland is on the line up of their Freelance Heroes Day event - giving a special presentation on 'Being Balanced'. Finding that all important work-life balance. Host of Being Freelance, Steve Folland, gives a lightning talk at this year's Wordpress Developer's conference 'Word Camp' in London. 10 minutes of the best freelance quotes from the podcast and the difference they can make to your freelance business.